Festive Giveaway! Win a makeup bundle! It's time for another giveaway! Following on from last week's Christmas gift guides (here, here, here, here and here), I've decided to give away two of the fab gifts that I featured, to one of my readers. 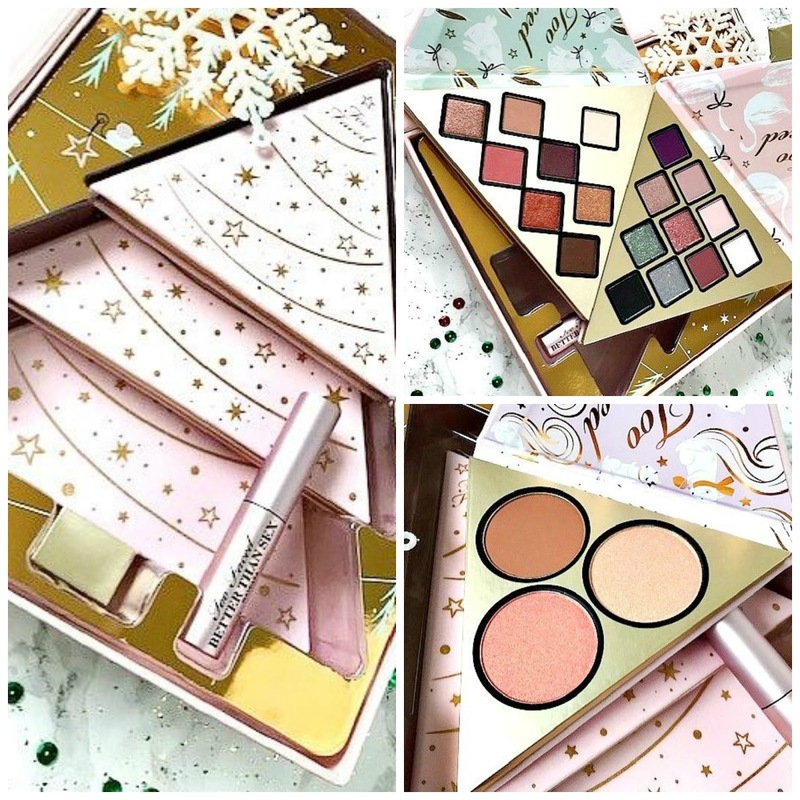 One of you will win the Too Faced Under the Christmas Tree Gift Set, which contains two eyeshadow palettes, one cheek palette and a deluxe size mascara and an Eyeko Christmas Cracker, which contains a mini mascara and waterproof eye liner. This giveaway is open internationally! The rules are really simple. There are 5 mandatory steps, which will only take a minute or two to complete - all of which are detailed in the Rafflecopter widget below. You must follow Beautylymin on Bloglovin, Twitter and Instagram, you must tweet the giveaway link and you must like and comment (not just am emoji) on the giveaway photo. All of the links are in the Rafflecopter widget. If you leave any section empty or with NA, your entry will be deleted and if you follow/unfollow, your entry will be deleted. There are a number of ways to earn extra entries: love this post on Bloglovin, comment on this post telling me what your favourite thing about Christmas is, leave a relevant comment on any other blog post, tag two friends in the comments under the Instagram photo, mention the giveaway in your instastories and tag beautylymin (this option can be done daily). These are optional but all are worth five extra entries each. The giveaway will end on December 17th at midnight and the winner will be chosen via random.org. I will then contact the winner who will have 48 hours to respond to my mail. If the winner does not respond within 48 hours, they will be disqualified and another winner will be chosen. If you are under 16, you must ask the permission of your parent/guardian to enter as you will have to disclose your address. This giveaway is open worldwide. There is no cash alternative or substitution available. I'm not responsible for any customs/duty fees, however I will mark the parcel as a gift Best of luck! All products are bought by me, unless otherwise stated. The Eyeko cracker was kindly sent to me. Opinion is always my own. Affiliate links may be used.